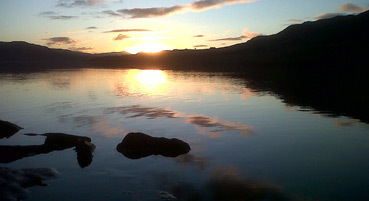 In an enviable lochside location, on the south banks of Loch Tay, close by to the picturesque villages of Kenmore, Killin and Aberfeldy, Bracken Lodges offers you self-catering accommodation in the perfect location for a very peaceful, relaxing, self-catering holiday in the Heart of Highland Perthshire, Scotland. 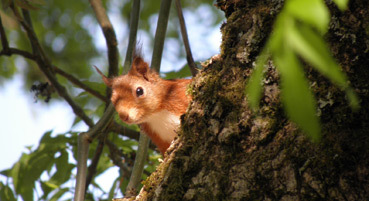 Bracken Lodges is a family owned and maintained business situated in 40 acres of beautiful, unspoilt parkland. 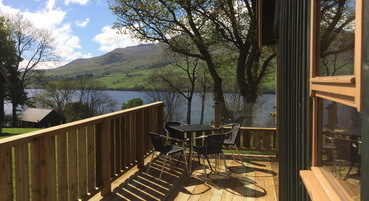 We have eight, superbly equipped, detached holiday lodges, each overlooking the magnificent summit of Ben Lawers and beautiful Loch Tay. 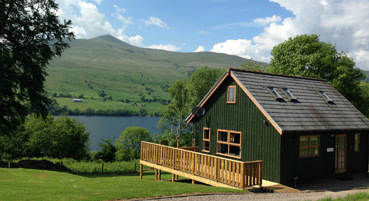 Surrounded by stunning scenery overlooking Loch Tay, each holiday lodge is superbly equipped to a very high standard. 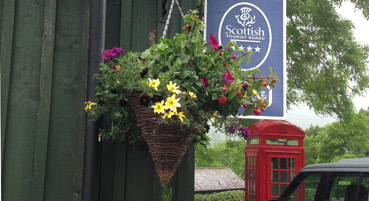 All lodges are pet free/smoke free properties and have all been awarded 4* by Visit Scotland. Our one bedroom lodge, Beinn Ghlas (sleeps 2 max) has a double bedroom with en-suite bathroom, including a jacuzzi bath and walk-in shower. 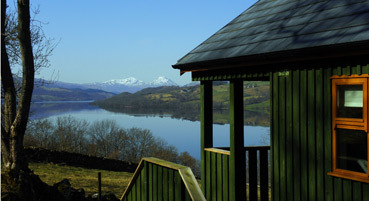 Our two bedroom lodges, Ben Lui, Linnie, Schiehallion and Ben More (each sleeps 4 max) have a double bedroom with en-suite (walk-in shower) and a twin bedroom with en-suite (shower over the bath). Our three bedroom lodges, Ben Lawers, Tay and Lochy (each sleeps 6 max) have a double bedroom with en-suite (walk in shower) and two twin bedrooms. There is an additional bathroom on the ground floor with a shower over the bath. All gas, electricity, bed linen and towels are included in our prices and the wonderful under-floor central heating is perfect for all year round holidays. Free wifi is also available in each lodge.